Hello to everyone, and especially Miriam, my Celtic Hearts Clan sister and friend. 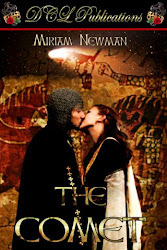 Thanks so much for having me here, and thank you for allowing me to talk about my historical romance novel, Coming Home, the second book in my Claddagh Series. I’m so pleased to be here. AND I’ll be giving away an autographed paperback copy of Coming Home to one lucky commenter. So put the kettle on the hob, settle into your favorite chair, and share some of my memories of Ireland. Coming Home is the unintentional sequel to my first book, In Sunshine or in Shadow. 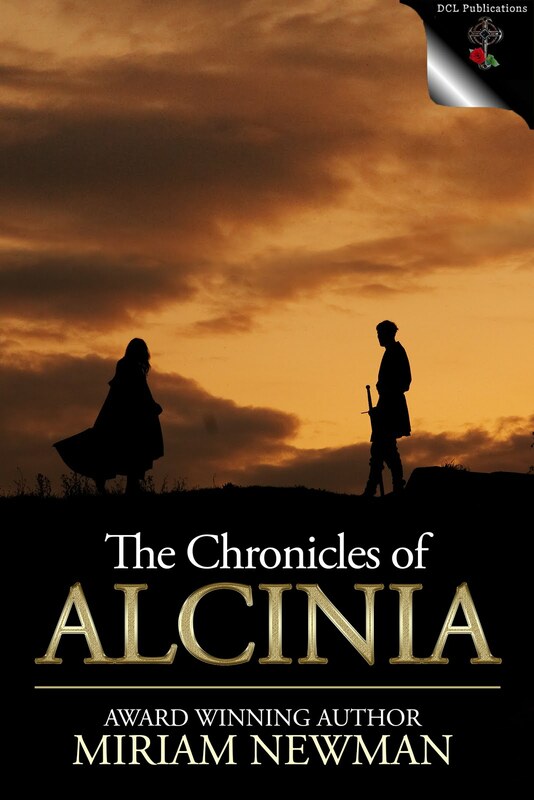 I hadn’t planned to write a sequel, but the characters called me back to Ballycashel, the tiny, wind-swept West-of-Ireland village where both books are set. Visiting Ireland was a long-held dream of mine, not just for research purposes, but because I’ve always felt connected to the country somehow. And on July 11, 2009, when the ferry docked in Dublin, I felt I’d arrived at my heart’s true home. We drove off the ferry and into a curtain of magical mist that turned into a true Irish downpour. It rained steadily throughout the day, as we drove from Dublin to the village of Feakle, in County Clare. Our cottage there could have belonged to Ashleen and Cavan Callaghan, hero and heroine of Coming Home. Its stone walls, thatched roof, and the lovely warm hearth sizzling with sods of turf made me feel as if I’d gone back in time. That night, I sat in a rocking chair before the turf fire, listening to Irish music and just absorbing the Irish atmosphere. And I felt like a character from one of my own stories. Naturally a visit to Ireland isn’t complete without touring at least one castle. The first one we visited was Bunratty Castle, located in County Clare. It’s a spectacularly beautiful castle dating back to Medieval times, complete with winding staircases and amazing views from the battlements. It was also a gold mine of research opportunities because it has a folk park designed to look like a Nineteenth Century Irish village. It was at Bunratty Castle that I found Tom Flynn’s cottage. Loop Head House was the cottage of a farmer/fisherman, just like Tom Flynn, one of my favorite characters in Coming Home, and one of my favorite secondary characters in the Claddagh Series. A minor character in In Sunshine or in Shadow, Tom plays a major part in the love story in Coming Home. On another day, we had the great good fortune to visit Thoor Ballylee, a fortified 13th Century Norman tower, once home to the great Irish poet, William Butler Yeats. The grounds were lovely, the “Winding Stair” dizzying, and the view from the very top of the tower was both breathtaking and terrifying – at least for me, as I’ve always been afraid of heights. We even got to see Yeats’s bed! Three years later, I feel incredibly lucky to have visited Ballylee. The autumn and winter of 2009 were severe, and the tower was damaged by heavy flooding. Sadly, the tower remains closed to visitors to this day. It was hard to leave Ireland. The green fields, the soft mist, the incredibly friendly people, the atmosphere, was sheer magic. Ireland is like a lover, and once you meet her, she’s impossible to forget. She takes your hand in a gentle clasp, urging you forward into a world of mist and magic. She touches your heart, fires your spirit, and fills your soul with a yearning to remain always. And I can’t wait to go back! 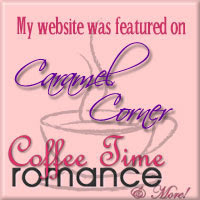 Miriam, thanks so much for hosting me on your lovely blog! Leave a comment for a chance to win a signed copy of Coming Home. And watch for Playing For Keeps, Book III of the Claddagh Series, coming soon from Highland Press! 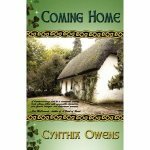 Daughter of an Irish village girl, step-daughter of the landlord, Ashleen O’Brien has lived between two very different worlds. But after a year in America, she yearns to return to the green land that is her heart’s home. War and betrayal have taken everything from Cavan Callaghan – his home, his family, and the woman he loved. A hero of the Irish Brigade at Antietam, he’s searching for the family he never knew. 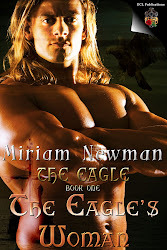 Love and deception await Cavan and Ashleen along those emerald shores, as the ghosts of a past that can never quite be forgotten rise to threaten their newfound happiness. Well, I know of at least one lady who believes the Soul of Scotland is exemplified in this video. Due to the storm and some internet issues this is a bit late. Observed for centuries in Ireland, Scotland and most of the Isle of Mann, Samhain, one of four Gaelic seasonal festivals, traditionally falls on Oct 31-Nov 1. 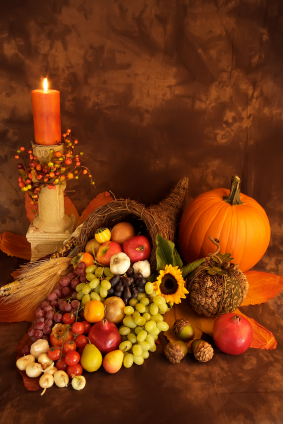 Half way between the Autumn Equinox and the Winter Soltice it celebrates the harvest and beginning of winter—the dark half of the year. Like Beltane, it is believe to be a time when the door to the ‘other world’ opens and the souls of the deceased and other unearthly beings can enter our world. Described in some of the earliest Celtic literature, it has been linked to All Saints Day since at least the 9th century. With a deep rooted belief in myths, superstition, omens, magic, the power of good and evil the Celts believe many a legend took place or began on Samhain. At this time of year, cattle and livestock are brought down from the pastures and slaughtered for winter. Bonfires are lit and like during Beltane, the Celts walked between two fires and drove the animals ahead of them as part of a cleansing ritual, and the bones of the slaughtered animals were cast into the flames. The smoke was believed to have protective powers and it became tradition for families douse the fires in their hearth and to use the flames of the bonfires to relight them. This was seen as a means of protecting their home and a bond with the other families in the village. In Scotland, these bonfires were called samhnagan, and they were usually made from anything that would burn. It was later believed that in some parts of Scotland, a ring of stones was laid round the fire. Each stone was meant to represent one of the people present. Once the ring was arranged, they ran round the fire with a lit torch and continued to do so well into the night, chanting and honoring those from the spirit world. In the morning, if any of the stones were not in the same place, it was said that the person for whom it laid would not live out the year. A similar practice was observed in north Wales and other areas of Brittan. Feasts are prepared and the souls of the dead loved ones were invited to join in, a place set for them at the table. They told stories about those who had passed and it was believed they would be rewarded and blessed by these spirits. Along with their fascination and curiosity about the occult, fear of evil souls and spirits prompted the need for protection. Fairies were also thought to steal humans on Samhain and avoided going near what they believed to be the fairy mounds. People stayed close to home or, if they had to walk at night, they turned their clothing inside-out and carried bits of iron and salt to keep the fairies away. Offerings of food were left by the door for the fairies to avoid angering them and to make sure they had their blessings in the new year. The need to protect against fairies and spirits on Samhain led to rituals like guising, or as it is known in west Scot dialect ‘golshans’. In the 1800s there are records of people dressed costumes, carrying hollowed out turnips as lanterns, and visiting from house to house, collecting cakes, fruit and coin. While Halloween has replaced Samhain festivals in most areas of the world, it is still seen as a spiritual holiday for Wiccans and Celtic neopagans. So light your fires, hollow out your turnips, and don you disguise, for tonight the fairies and spirits will roam the earth and one can’t be too careful. 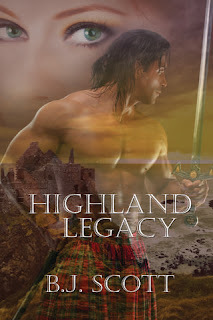 Get your copy of Highland legacy at http://www.amazon.com/Highland-Legacy-ebook/dp/B0065KX8P8 or at Barnes and noble, kobo or Soul Mate Publishing! 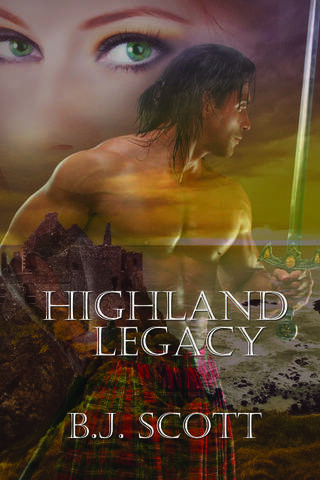 The Sequel, Highland Quest is due for release in Dec 2012.